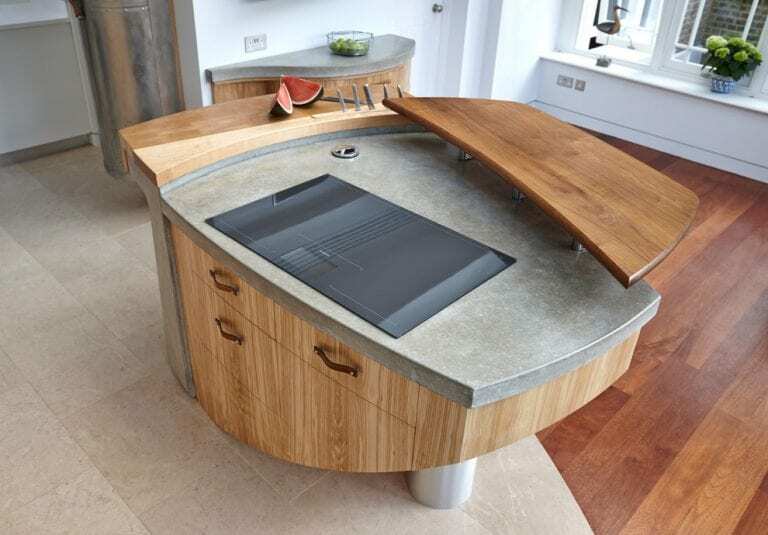 How boring would our lives be without contemporary tables? They brighten up spaces, provide surface storage, and create lovely focal points. They have a way of transforming areas from drab to stunning in an instant. 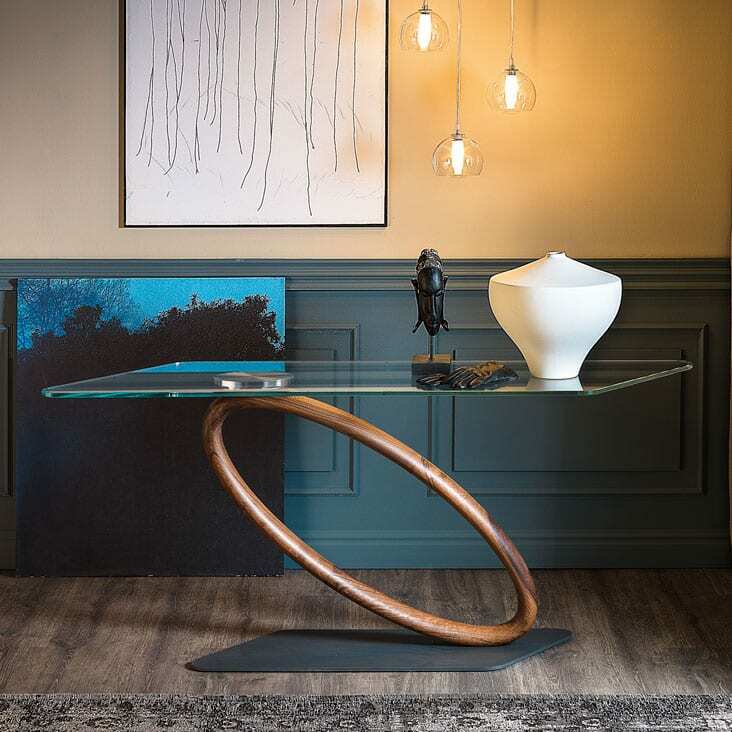 If you’re looking to add stylish charm to your space, get Tour by Cattelan Italia. It boasts fine craftsmanship and superior design and will be your pride and joy. It is the masterpiece of Giorgio Cattelan who has spared no effort to make it stunning. Visually stunning and highly functional, the Tour Table by Cattelan Italia blends well with a variety of settings. It is an aesthetic wonder that will become the centerpiece of any room. It adds instant appeal and will help you to create the perfect living space. When viewed from the top, it looks like a gorgeous diamond ring. You’ll be forgiven for staring at it for hours as that’s what it has been designed to do, captivate and mesmerize. The table has a glass top, a circular leg, and a base in graphite embossed lacquered steel. Its leg is shaped like a ring and made from Canaletto walnut. 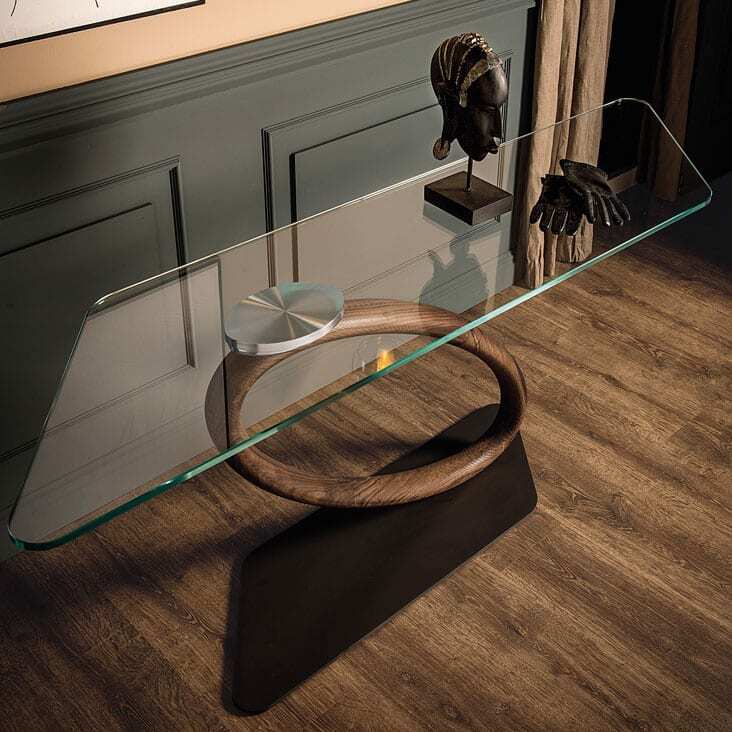 Award-winning pieces and famous designers have made Cattelan Italia the design icon it is today. The company outdoes itself with each new creation. Tour is one of its best. It offers essential appeal, high functionality, and superior design. Get one piece and see if you won’t go back for more. How would you integrate Tour into your space?